My Godson, Stephen is graduating today from Nichols State University in Thibodaux, Louisiana! This is the card I made for him. 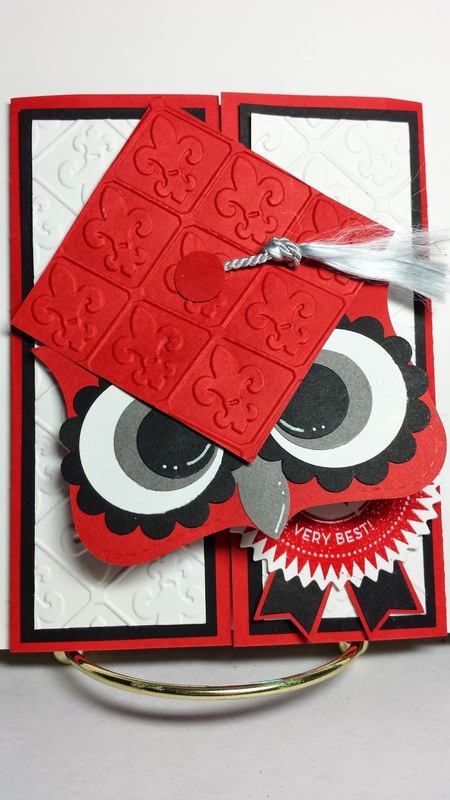 It's a gatefold card and the little owl has a repositional adhesive dot behind it for the closure. He was so much fun to make! I think Stephen is going to like it very much. The award is a stamp from Simon Says Stamp set You Can Do Anything. this card has been entered into the Curtain Call Challenge - Totally Tassel. Below is the inspiration for my card. What a fabulous card! He is gonna love it! Thanks for joining us at Curtain Call! Betty I love the embossing on your cap! Thank you for sharing with us at the Curtain Call! Adorable design! 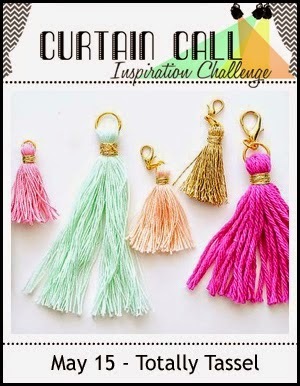 Thanks for linking up at the Curtain Call Challenge!